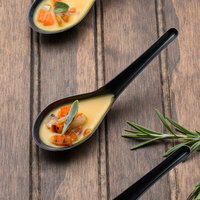 By using these disposable Chinese soup spoons at your wedding, fundraiser, cocktail hour, or other special event, you’ll add a unique touch to your food display. 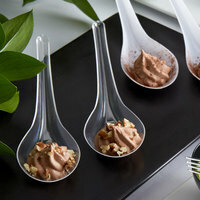 Set them out on buffet tables or have caterers carry them around on serving trays to pass out to customers. 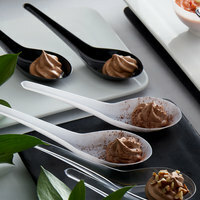 Many chefs even use these items as taster spoons, so their employees or customers can sample a new sauce or broth. For other great products for your establishment, be sure to check out our serving trays, paper napkins, and tabletop signs. If you're wondering where to buy visions disposable chinese / asian spoons, we have a large selection of visions disposable chinese / asian spoons for sale at the lowest prices.